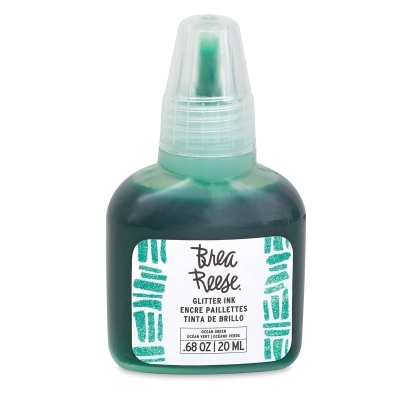 Perfect for use with water brushes, traditional brushes, and refillable markers, Brea Reese Glitter Inks are brilliant, transparent, non-clogging, and non-yellowing. Use alone or combine them to add glittering accents to cards, paintings, hand-lettering projects, and more. 20 ml bottles.